SOUTHERN SYRIA – The Islamic State once controlled an area the size of Great Britain across Syria and Iraq, but now they’ve been pushed back to barely two square kilometers. US Department of Defense officials say the end of their reign of terror in Syria is only days away. In Southern Syria within sight of the Iraqi border, US-backed Syrian Democratic Forces have set the stage for the last stand of the ISIS caliphate in that country. 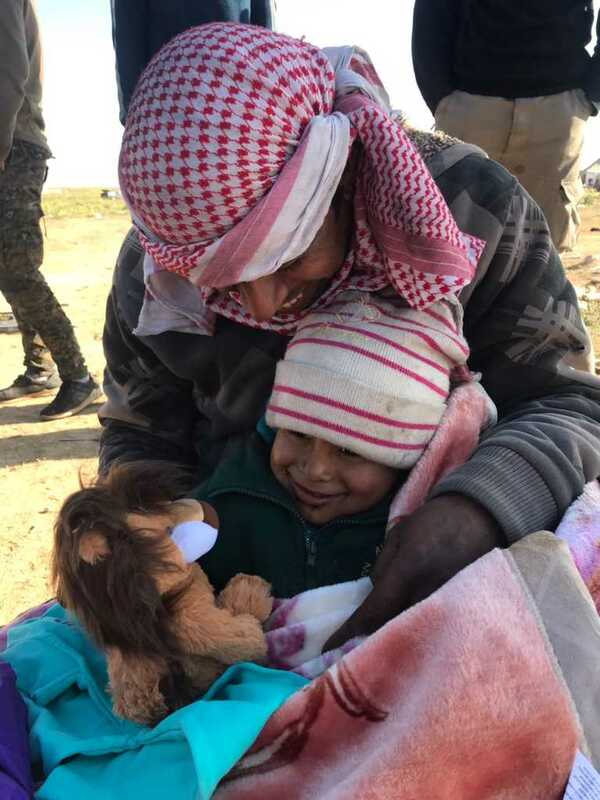 The fighting has been brutal, and while the SDF has tried to evacuate civilians from the battle area, ISIS has thwarted those efforts and is using up to ten thousand civilians as human shields. For those who do escape, their ordeal is far from over. Syrian Defense Forces have set up a checkpoint about a mile from the forward line of troops, the front lines against ISIS. Refugees have walked to this point after getting across ISIS lines. When CBN reporter Chuck Holton was there, he saw women and children in bad shape. Some of them were wounded, the children were dehydrated, malnourished and sick. Holton went on to explain the shocking details of ISIS’ brutal, last stand. Women wearing suicide vests, using people as human shields, and more. They were receiving some initial medical attention. One thing the Syrian Defenses are watching out for, however, is women who may be wearing suicide vests. Five women wearing explosives blew themselves up on one single day recently. That has made for an intense situation as the women now presenting themselves at the checkpoint are checked by female SDF soldiers. “We’ve still got to just be careful and hope that these women love their children enough that they are not going to do anything stupid like that,” Holton said. “They will be put on buses or some sort of transportation from here and taken to an internally displaced persons camp further away from the fighting,” he added. But between the front line and the nearest refugee camp, there is nothing but more than 200 miles of arid Syrian desert. There’s no food, water, or shelter. A group of Christians has stepped into this gap. They are people who make it their mission to travel to frontlines around the globe and help people at their point of greatest need. They call themselves the Free Burma Rangers, and their founder, Dave Eubank, has been working on the front lines in this region since 2015. A former US Army Special Forces officer, Eubank has seen much of war. So have his ethnic medics, who grew up in the conflict zone in Burma, and have used their skills as medics to save many lives here and in Iraq in the fight against ISIS. From Dave’s perspective on the ground, he thinks pulling out of Syria would be the worst thing the US could do. “The military side has done a great job, and they are doing a great job. They need to stay and complete that and stay to keep this space open. But humanitarian – there’s a huge gap. For example, the nearest hospital is four hours away. So you could be shot up there, and then take a whole day to cross and another day to get here and then four more hours to get to the hospital. 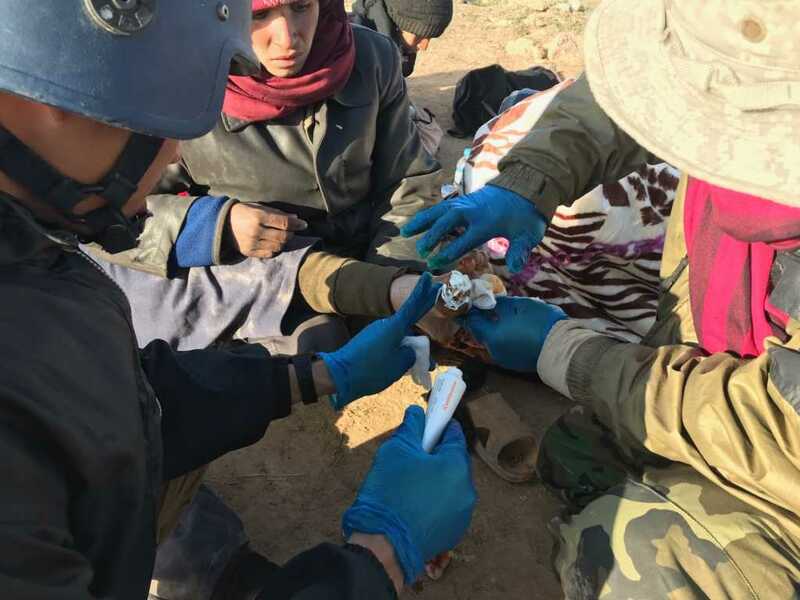 So what the US could do, practically, is set up field hospitals to support the Syrians here, the Syrian democratic forces, to improve their ability to save lives,” Eubank explained. Those who arrive in this area of Southern Syria are often gravely injured, like a taxi driver we met named Salaam Abed Muhammad, whose home was hit by a bomb as he and his family were sleeping. “At three in the morning our house was destroyed, and there were 23 of us inside,” Muhammad told CBN News. Only Muhammad, one son, and a daughter made it out alive. 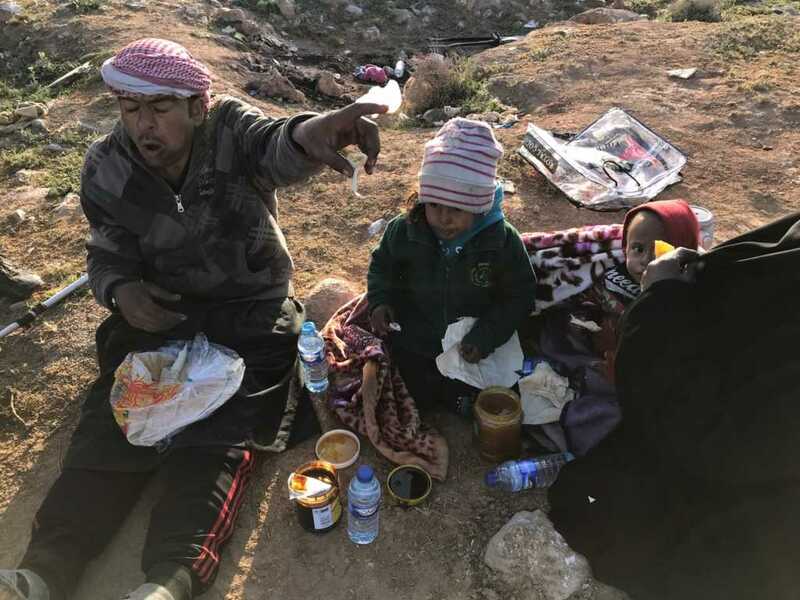 But even before that tragedy, life inside his town of Baghouz was unbearable. You might think it’s crazy for a group of civilian aid workers to venture so close to the front lines, but this is no ordinary missions team or group of tourists. The Free Burma Rangers are highly trained medics with lots of prior military experience that makes them uniquely qualified to do the kind of work they are doing addressing that humanitarian gap between the front lines where people are escaping ISIS and the first refugee camps. That’s because there really isn’t anything to help those people between those two points. 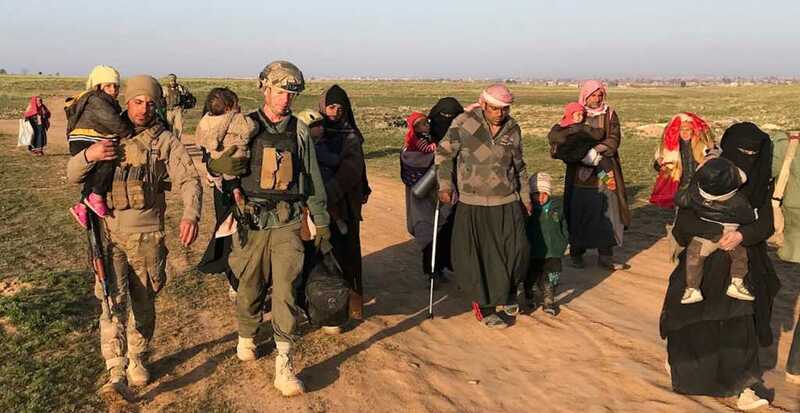 We came across a group of men who had surrendered to SDF forces from the conflict area. They are suspected ISIS fighters. Even so, they were sick, hungry, and some were wounded. So Eubank’s team gave them water and medicine, and Dave prayed for them. Eubank and his team have been in the middle of the conflict for the last few years. “In Mosul, we lost a lot of friends,” Eubank said. “I was wounded four times,” he went on. “I lost my translator, 30 guys I knew well were killed, three of my team were wounded. In the face of that, why would we help them? Because God sent us, and I know I’m not perfect. Those that will raise their hand and say, ‘pull me out?’ I want to pull them out. That’s redemption. That’s how things change,” he said.